The Ghar Ghar Maa Swasthya (Healthy Homes) project, currently managed by FHI 360 and funded by USAID/Nepal, hosted an eight-day Marketing and Communication Workshop from May 11 - 26, 2011 in Kathmandu, Nepal. The workshop provided an opportunity for the marketing team of Nepal CRS Company (CRS), a leading social marketing agency in Nepal, to develop skills for a more systematic and evidence-based approach to its marketing and communication activities. CRS plans to introduce two new products this year - a cost-recoverable male condom brand targeting urban men and a sanitary napkin brand that targets rural women. Initially conceived in response to a request by CRS technical staff to look more closely at social and behavior change communication (SBCC) as an independent discipline, the workshop evolved to combine SBCC with commercial product marketing elements. Workshop facilitators introduced theoretical marketing and communication concepts and engaged participants to create specific marketing strategies for these two new products. The workshop team adapted modules developed by C-Change, a USAID-funded project to improve the effectiveness and sustainability of SBCC, to fit CRS's particular context as was defined during a pre-workshop capacity assessment. The workshop used experiential learning approaches including collection of formative research data and materials pre-testing. CRS's advertising agency joined parts of the workshop related to creative development and materials pre-testing, which allowed for a more collaborative creative development process. Ms. Lonna Shafritz, the workshop's Marketing and Communication Lead Facilitator commented, "The experiential learning approach resulted in highly participatory and focused teamwork with concrete results such as an assessment of current market dynamics, acquisition of formative research knowledge, and integration of data into strategy development." The ultimate result of this workshop was a draft marketing plan for both products, including market and competitive assessments, pricing strategies, creative briefs, monitoring and evaluation activities and implementation plans. The workshop also encouraged greater professional dialogue and critique within the CRS marketing team. 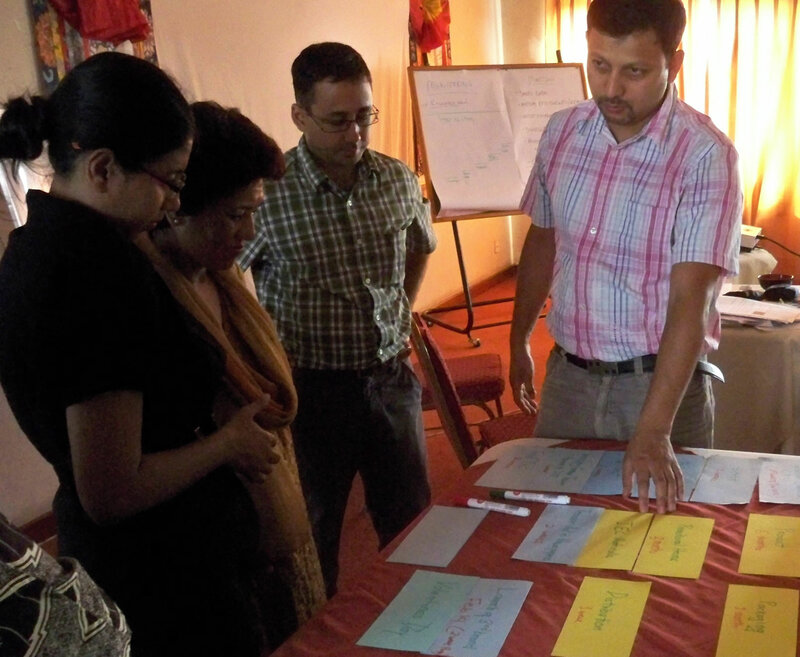 "The workshop provided us the exposure on the importance of research to identify consumers' needs and wants, and how monitoring and evaluation helps us to know the status of a project," explained Uttam Raj Regmi, Marketing Head of CRS Company. FHI 360 will continue to work with the CRS team in preparations for the launch of both products in the coming year.